Here is a complete list of the ASPCA’s 2017 animal and human heroes, including the dog and cat of the year. 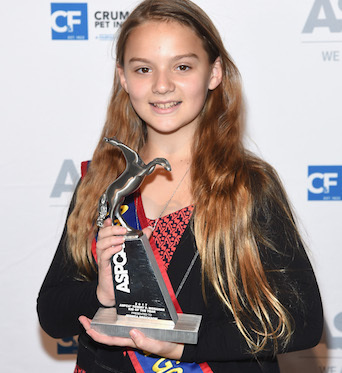 At just 11 years old, Jessica Brocksom won the job of 2017 Connecticut Kid Governor after being elected by fifth graders across the state. Since assuming office in January, Brocksom has dedicated herself to promoting collection drives for local shelters, working with state officials to enforce tougher laws against animal cruelty, and spreading her message through press conferences, fundraising, and media appearances. In spring 2017, Brocksom advocated for legislation, which has now been passed as law, allowing children to have therapy animals with them while testifying in court.